Per a fantastic opportunity I was able to test out some awesome gear from Dakine, however, I will admit that there were a couple of the items that I had to pass onto my friends due to size issues. However, I hope that the information I share with you will prove to be helpful with selecting your own products from Dakine! This is a nice, long sleeved jersey that is sized so you can wear body armor under it if necessary. I for one, do not, so the size Medium ended up being quite large for me. 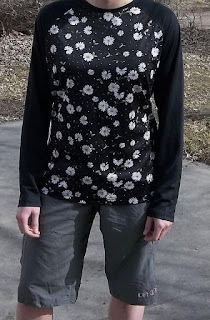 It was a dandy item to have to wear over layers, and the fun daisy pattern was something much different from any of my other jerseys. For me to pull this jersey off and stay warm, I had to wear layers under it due to how baggy it fit. Had sizing not been an issue, this would've been kept in my personal jersey collection. However, I made a good friend very happy! Due to the larger size of this jersey, she was able to wear it easily and it fit well! This is her go-to for cooler weather riding days. Overall I think this is a great jersey for those who would like something more roomy/casual if they like looser fitting clothing OR if one wants the option to be able to wear body armor without feeling constricted. 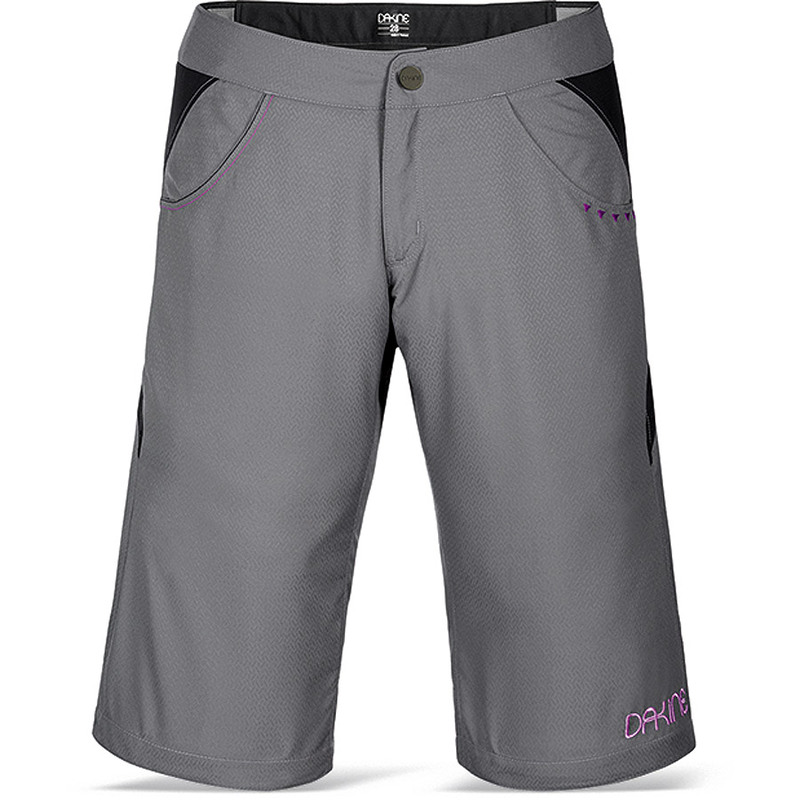 These shorts were lightweight and I felt very breathable and you definitely have room to move. These shorts are a "BYOL" so wear whatever makes you feel comfortable! Again, this item of clothing ended up being too large for me to choose to keep it and they found a home with another friend of mine. I had the waistband cinched as tight as I could and they still felt a bit loose and bulky. Had I been wearing a smaller size I would've kept them. I loved the purple stitching of the logo and some detailing on the pockets. I also liked that they had an adjustable waistband to use. The length, for being a size too big, was not bad either. Definitely shorts that I would wear on hot weather days. These would've also been nice for wearing as a second layer with tights during the fall/winter months when I like having a little more coverage. Other reviews online suggested that they run large after they ordered sizes typically worn- so if you can it's probably best to try before you buy. Also, where I ride it's primarily XC style-not too many rocky areas to fall and potentially damage the shorts. The other thing I wished they had- zippered pockets. I'm a huge fan of zippers and will not put anything in pockets that do not have some sort of closure. A fun tech tee that even in size Medium fit me alright! 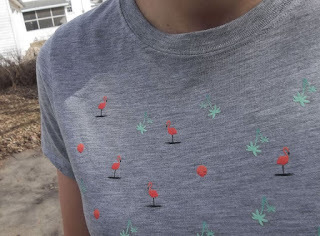 "Dakine’s Tech T’s are designed out of a high-tech moisture management material that rapidly wicks sweat away from the body. 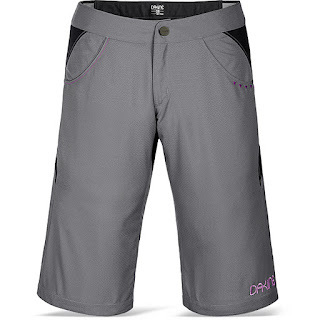 This blend of quick-dry fibers is lightweight, breathable with a premium soft feel." This shirt did feel very comfortable, light, and soft. It wasn't restrictive, mobility was good, and it (for the most part) fit well. Most times I am out with a jersey on, however this Tech T was a nice option for something different and a bit more casual. Perfect if you're going for a ride with your friends and want to stop somewhere afterwards for a beverage. I was originally skeptical that this jersey would fit as a size medium, however, it fit remarkably well and I would probably NOT want to size it down. It's a very casual looking jersey which I saved to wear until the weather warmed up enough to warrant a lighter-weight jersey. If you hold the jersey up to the light, the back is a bit see-thru, which if temps were under 70, might be a little chilly. It comes with 3 pockets in the back and an internal sunglasses wipe. The design is said to be a women's form fit, also the back hem is longer so you don't have to worry about it rising up on you. Nothing is more annoying than worrying you're flashing your lower back (or more) to the riders behind you! There is a fun Volt colored fabric under the closure. Great choice for a pop of color with the purple! Last for the jerseys, the Women's Tank. Let it be known I've never really worn a tank top mountain biking before and I wasn't sure if it would be a wise idea. A friend of mine often wears tanks, so I figured it was worth a shot. 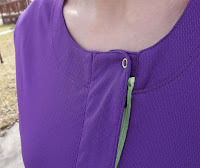 This jersey doesn't have pockets, but it does boast a more padded neckline to aid in comfort from hydration pack straps. Last to be reviewed are the Covert gloves. The fit was great and they don't bunchy when you are gripping your handlebars. I have worn them for bike rides over an hour long and they didn't have any annoying seams that caused pain or irritation. These gloves are nice for early spring/fall, warmer winter days. I feel like my hands might get too warm in them during the heat of summer. If you have a smart phone they are touch screen compatible. I like the extra bit of fabric over the knuckles. There is a bit of silicone on the tips of your fingers to help grip. Easy to pull on, gives some additional protection around the wrist. 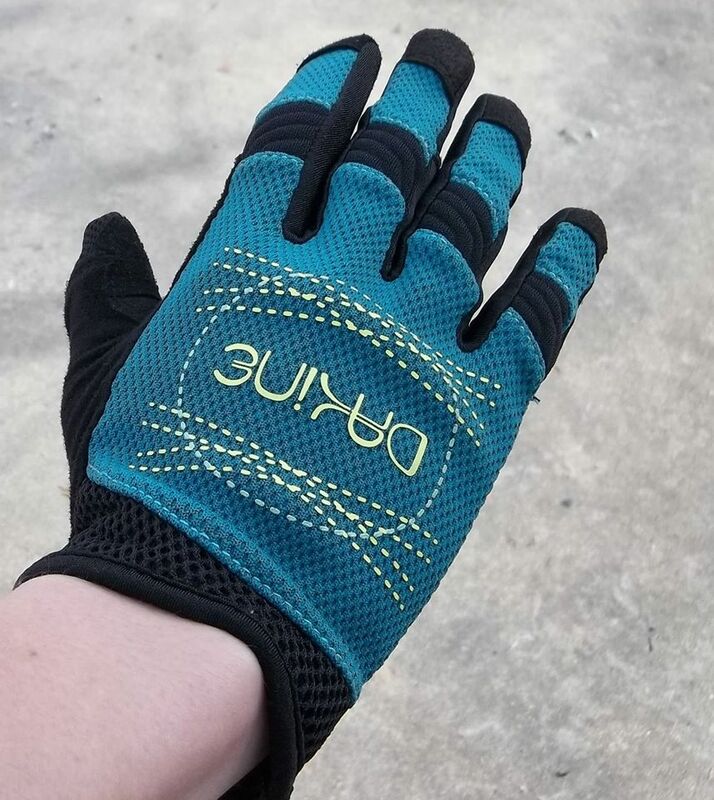 A very nice, sturdy, comfortable glove with a pop of color!